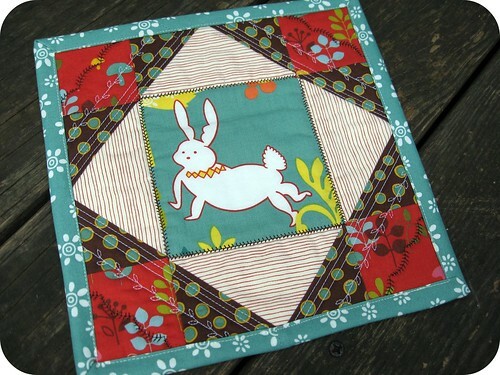 Have you seen these itty-bitty little quilts that are all the rage on Flickr? Most call them m-g r-gs, but I can't bring myself to say that after one Happy Zombie planted an inappropriate thought in my head about the name over dinner in Houston. So I'll just call them "itty-bitty little quilts that some people use as coasters" and move on! I know many people don't see the point of making something so small. Yes, they're kind of silly. No, they're not very functional. But you know what? Sometimes the itch to create something from start to finish just needs to be scratched, and these itty-bitties can be knocked out in one sitting. 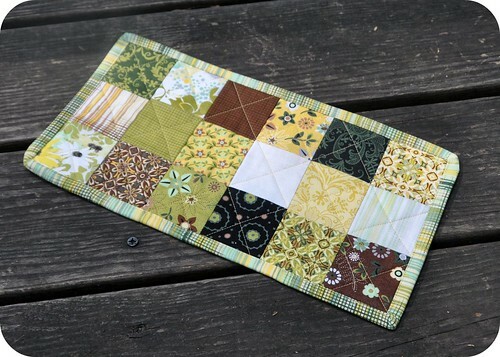 It's a fun way to try something new, or use a favorite fabric, and get instant gratification. For me, I took the opportunity to practice my machine binding. And y'all know I'm a sucker for swapping anything handmade. I haven't joined the official Flickr swap group for these quilts, but I did participate in a mini side swap with some Twitter friends. I whipped up this one for Erin, who blogs at two more seconds. I love this fabric line ("Wee Woodlands" by Keiki for Moda), and had a lot of fun playing with some of the decorative stitches on my machine. This next one was created for Sue, who blogs at eileensideways. 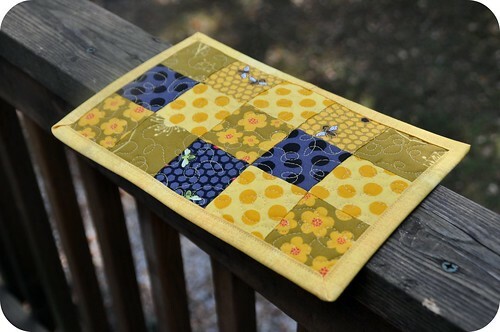 I used another favorite line, Patty Young's Flora & Fauna, to create this little bumblebee-themed piece of patchwork. I stippled the quilt with little loop-de-loops to connote the flight paths of the bees! Finally, I made this last one for Ryan (I'm Just a Guy Who Quilts) with some scraps from Basic Gray's Origins line. Kind of fun, don't you think? "I make these size 'quilts' for Priority Quilts and send them to Ami Simms - they are auctioned off to raise money for Alzheimer Research. If you like this size, enjoy your scraps, quilt as you like, and pass them on to benefit others. It is, after Alzheimer Awareness Month, isn't it"
I make these size 'quilts' for Priority Quilts and send them to Ami Simms - they are auctioned off to raise money for Alzheimer Research. If you like this size, enjoy your scraps, quilt as you like, and pass them on to benefit others. It is, after Alzheimer Awareness Month, isn't it? I do! I have these on my list of things to make before Christmas! I think they would make nice teacher gifts along with some good coffee and a pretty mug. #52. ✔ Plant inappropriate thoughts. I just have to say LOL, I love how a guys mind works!! I must confess I thot the same thing when I first saw these everywhere. Crack. me. up!! 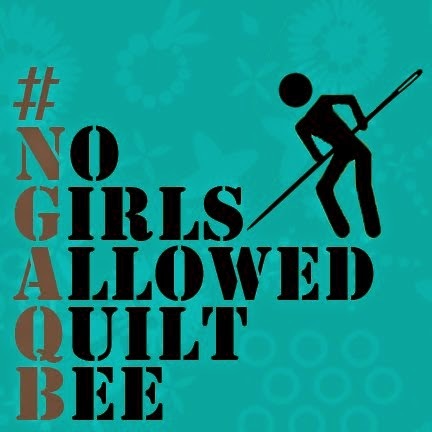 thanks for posting that little edit on AAQI. one of my friends had 4 little quilts in their booth at quilt festival last weekend and i've made some for them (just need to mail!). she and i worked their booth on saturday and brought people over, telling them that we quilters are raising money one little quilt at a time for alzheimer's. ami is a true delight and i recommend that everyone make a priority quilt and send it over to her. What little cuties! 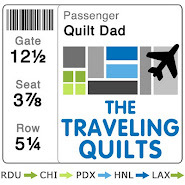 And a great idea on passing along some quilts to a very worthwhile charity! I am with you on the m*g r*g terminology. I call them "Cuppa Mates" - so Australian. They are a great idea and gift. Alzheimers is a wonderful charity to support. I think they are quite functional and make cute gifts when given with a mug, spoon and tea bag. We'll get you in the next mg-rg swap yet! I think you might be getting hooked yourself! Speaking of Origins, I thot I'd use my bundle of that to make your Tree quilt that was in the latest issue of FQly. I was so excited to see your shout out for AAQI! I had one in the Houston show and it sold! made me very happy and its a great way to try out a new technique or color combo. I'm with Lisa - - - I'm missing the inappropriateness completely, and that's definitely unusual for me! I'm planning on making a bunch of these for Christmas gifts and love your designs! Thanks for the inspiration!! I've gotten the itch to start making these myself lately--not so much because they're practical but because they really appeal to my instant-gratification-is-rad nature. Plus I just love anything that uses up scraps. Yours are great!! I've got some perfectly good scraps that would make some perfectly nice mug rugs. Might have to give it a try. What a quick, cute project! I just finished a quilt top mixing Wee Woodland and some older moda fabric, Chutes and Ladders. I like how your Wee Woodland project turned out. Your use of modern fabrics are inspiring! On my list of things to do, as of last week. Something quick and something for ME!